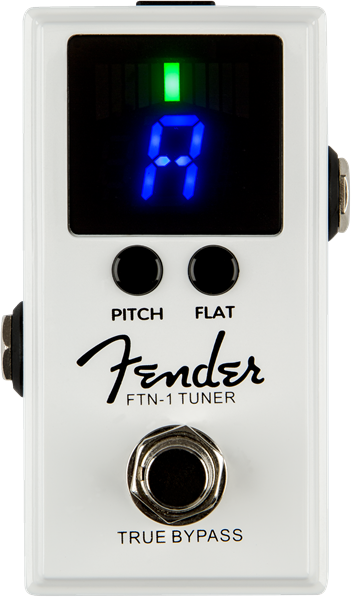 Fender’s FTN-1 Tuner, is an affordable, yet powerful, pedal tuner ready for standalone or pedal board use. 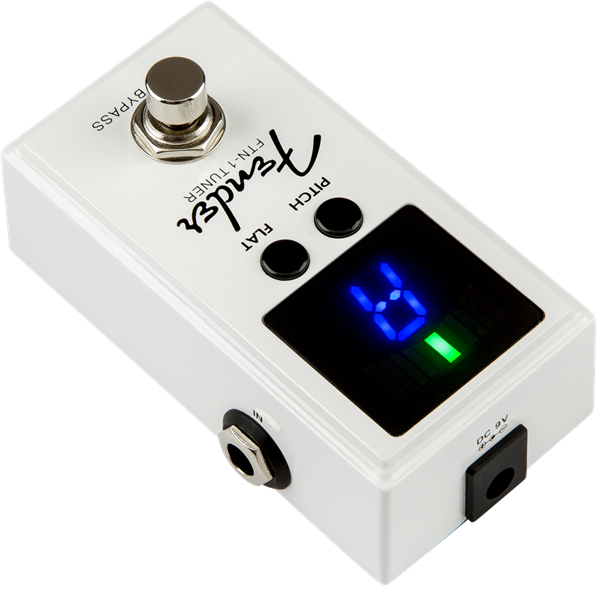 The FTN-1’s bright, easy-to-read display shows precise tuning status—with accuracy to +/- one cent—even on a bright stage or in daylight, and is compatible with guitar, bass, and other stringed instruments with an audio output. 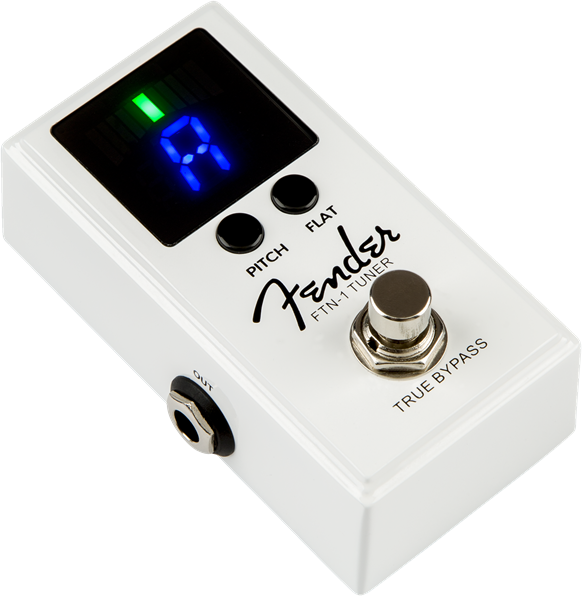 The FTN-1 automatically mutes the output when engaged, for silent tuning. True bypass circuitry allows the signal to pass without affecting the natural tone of your instrument. The display can be calibrated from standard tuning to three half steps below, making it ideal for hard rock and metal applications. 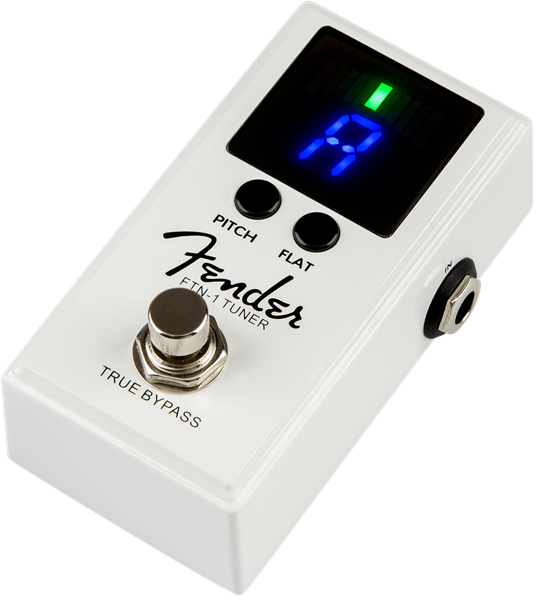 The small, compact size takes up minimal space on a pedal board and it even comes with a power supply. The FTN-1 ships pedal board-ready with no rubber feet, but a user installable die cut non-slip self-adhesive rubber pad is included.